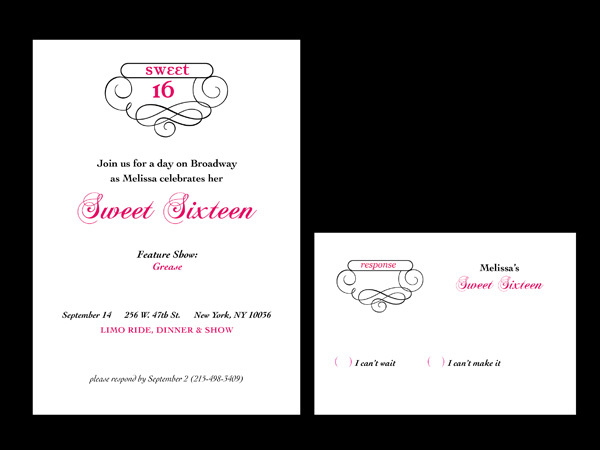 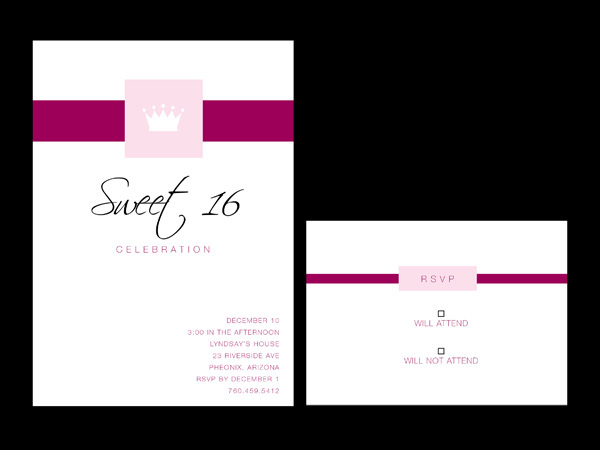 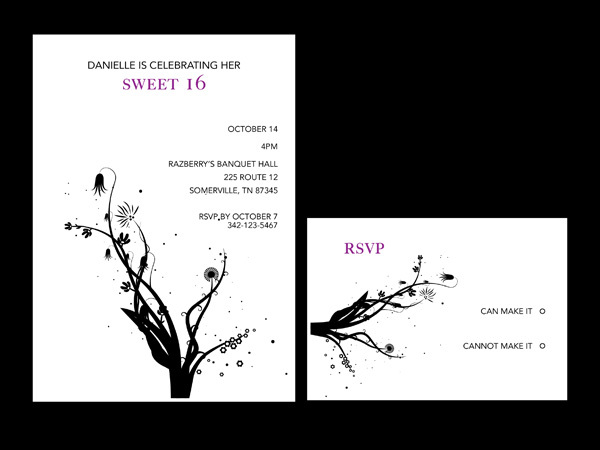 Every girl looks forward to her special Sweet 16 birthday. 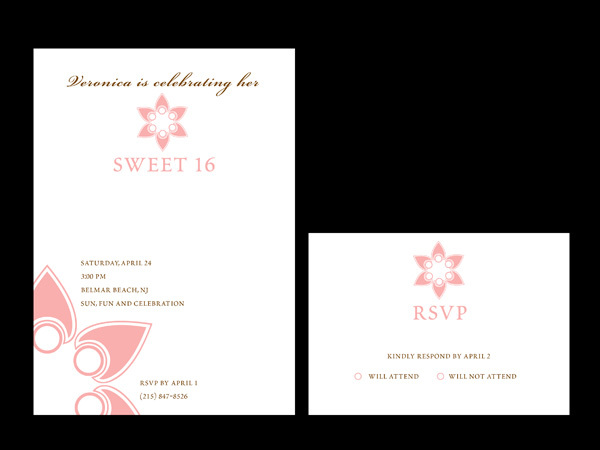 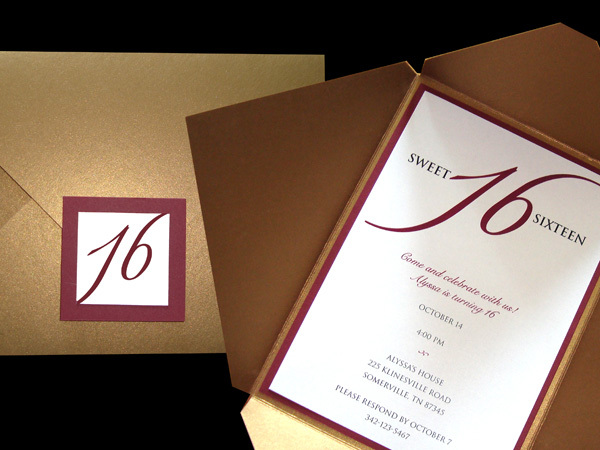 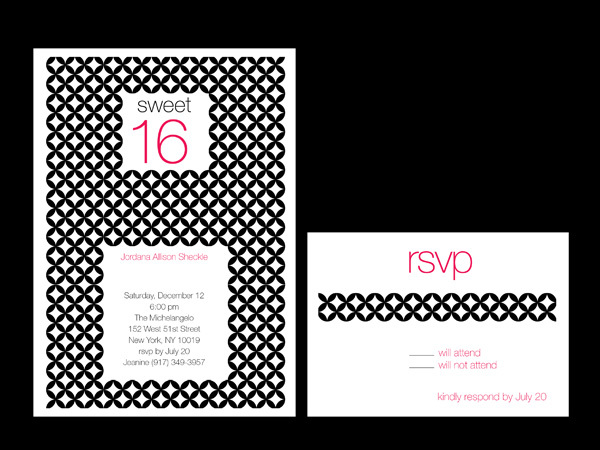 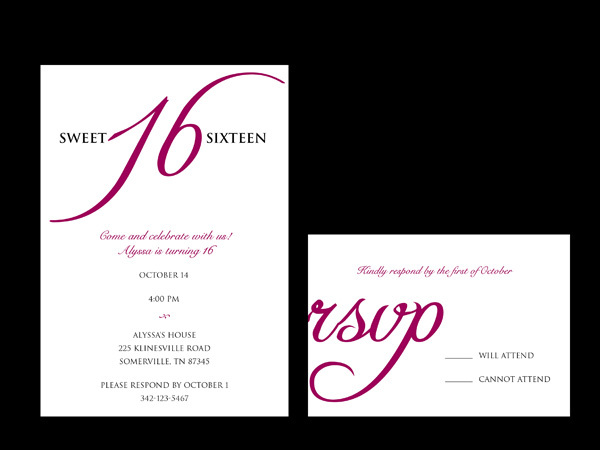 A unique invitation is needed whether it’s an extravagant bash or a getaway to somewhere special. 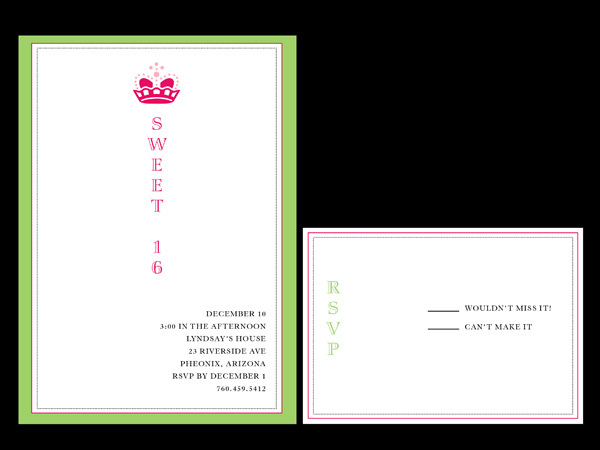 Either way, it’s the day a girl remembers for the rest of her life and why not make a lasting impression on your guests as well? 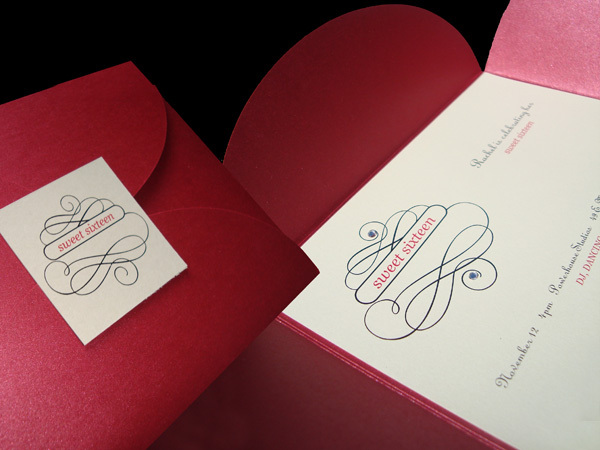 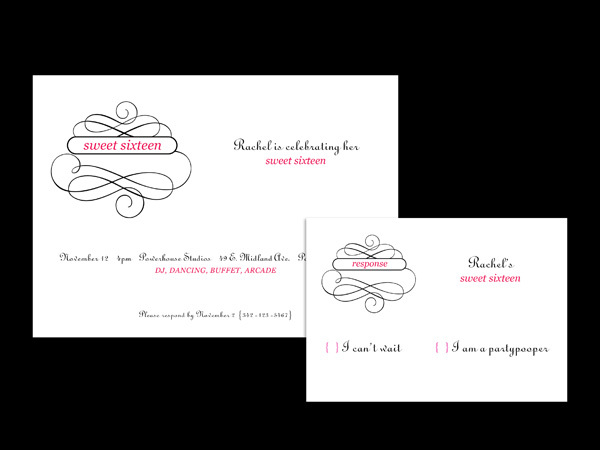 Enclosed in a Pouchette which contains a reception card, response card and direction card.